IBA France Shiwari Course – Paris – Practicing the art of breaking, 7th April. Instructor: Sensei Jean-Pierre Vignau 9th Dan. Contact Jean-Pierre directly on: Contact@fairplaysport.org for details. 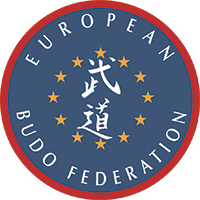 IBA Belgium – Belgian Cup Competition – Messancy – Kumite and Kata Competition, 22nd April. Contact morisjoh@yahoo.fr for details. IBA Belgium Weaponry Course – Musson – Kobudo: Stage 1 – focus on Bo-Jutsu, 18th-19th May. Instructor: Sensei Josh Johnson Hanshi, 9th Dan. Contact Alain Hoffman directly on: delphino54@hotmail.com for details. Summer Training – Agde – Karate – a Celebration of 60 years in the Martial Arts for Sensei Jean-Pierre Vignau 9th Dan – Self defence, Kobudo, Atemi-Jutsu, 23rd-27th July, 30th July-3rd August & 6th-10th August. Instructors: Jean-Pierre Vignau, Josh Johnson, Joel Bodet, Bernard Miollan, Roland Maroteaux. Contact Jean-Pierre directly on: Contact@fairplaysport.org for details. Pictures of the IBA Course at the Dojo of Jean-Pierre Vignau Hanshi, 2017, can be found on our facebook page. 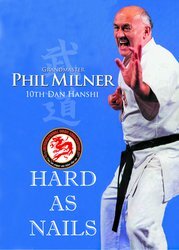 O-Sensei Phil Milner’s autobiography – “HARD as NAILS” is now back in stock at only £12.00 (plus £3.00 p&p). 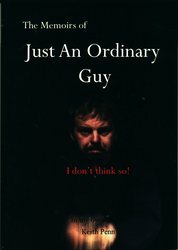 The autobiography of Josh Johnson Hanshi, IBA President “JUST a BOYS GAME” is also available. For either of these books, click on the link in the panel to the left to be directed to the shop website where more details are available. Alternatively, collect the books from the Wakefield Dojo or at any of the I.B.A. courses in the UK. The IBA is a collective of like minded Martial Arts practitioners with the sole aim of developing a home for both clubs and individuals. It is suited to those who like a supporting body but without the politics and constraints often associated with membership of a controlling organisation. Membership is admitted from all disciplines though current membership is predominantly traditional arts with most of our members joining after referral from an existing club or member. The IBA offers advice, assistance and facilities for training, courses, competition and grading/syllabus support. Insurance, CRB checks and Dan grade ratification are some of the benefits associated with membership. The IBA is a global organisation with current membership covering all corners of the globe; from Canada to Sri Lanka but with the majority of members from the UK and mainland Europe. 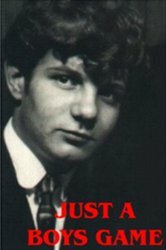 All Information on this Web Site has been gathered from Grandmaster Phil Milner’s personal records 1965 to 2000. 39945 visitors since February 2009.